Crocosaurus Cove is a tourism venture which has operated on Mitchell St in the heart of Darwin’s CBD since July 15th 2008. 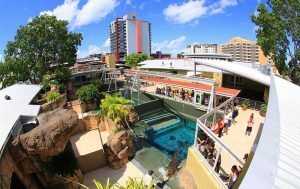 As a boldly conceived idea between 2 of Darwin’s most forward thinking businessmen – Doug Gamble & Mick Burns this $32 million venture (Crocosaurus Cove) has breathed new life into what was previously considered ‘vacant’ ‘unused’ land and converted it to what is now considered one of Darwin’s leading Tourist attractions. 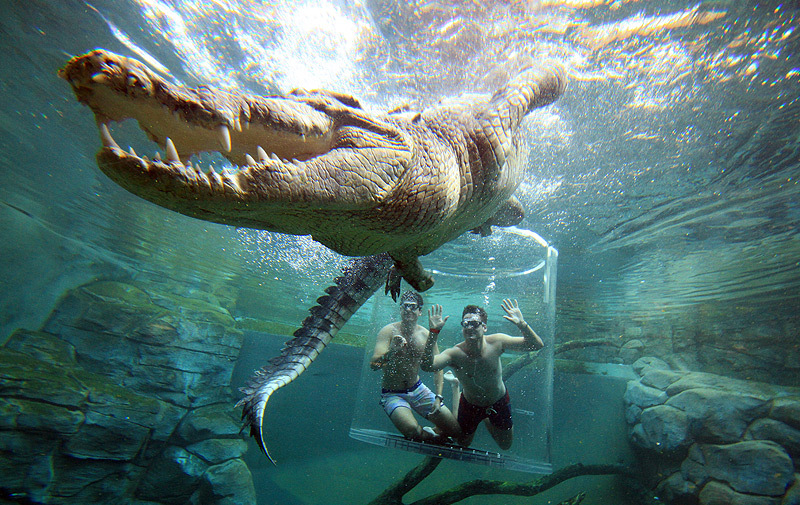 Crocosaurus Cove is also home to the World’s largest display of Australian Reptiles and Australia’s first and only crocodile dive experience, the Cage of Death.